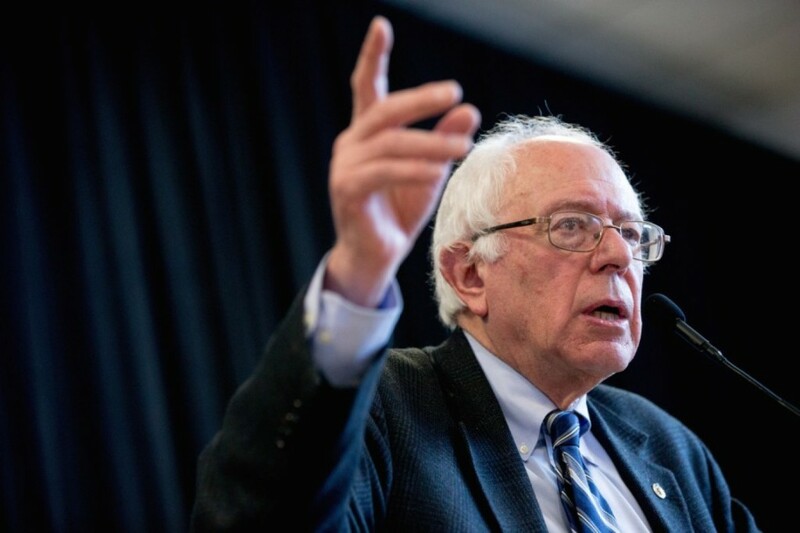 The final quarter of 2015 also saw Sanders dramatically increase his spending. According to aides, the campaign ended 2015 with $28.4 million cash on hand. That is only $2 million more than the $26.2 million the campaign had in the bank at the end of the third quarter of 2015, meaning Sanders’ operation spent the bulk of what they raised in the fourth quarter. Much of that spending, according to aides, was focused on building infrastructure in early primary states, including deploying organizers to South Carolina and Nevada, and building the campaign’s already existing organization in Iowa and New Hampshire. For the year, Sanders’ campaign spent 61% of the money it brought in. As in the third quarter, when Sanders finished slightly behind Clinton in fund raising, Sanders raised his money primarily from small donations. I don’t have specifics yet for this quarter, but in the third quarter 17.6 percent of Clinton’s donations were from small donors compared to 76.7 percent for Sanders. This could pay off if the nomination battle continues into the spring as Sanders supporters can continue to contribute while far more of Clinton’s contributors have reached the maximum. This might not actually hurt Clinton considering the unprecedented (and possibly illegal) degree to which she coordinates with her super PAC. The unprecedented number of individuals donating towards the Sanders campaign demonstrates a commitment towards changing the status quo, as opposed to continuing the politics of Hillary Clinton and her Republican opponents. This hopefully indicates that many more new voters will also turn out in the caucuses and primaries than the pollsters are predicting. Many polls use screens such as having participated in the last two votes to determine whether someone is a likely voter, excluding many Sanders supporters, especially those not old enough to vote eight years ago. This is just one of several reasons why polls of primary races quite often differ substantially from the actual result. On the one hand, Sanders is behind Clinton in the polls for the nomination (while often out-performing her in general election match-ups against Republicans). On the other hand, Sanders is in a position quite similar to the one Obama was in heading into the Iowa caucus. He does face greater challenges in some respects compared to Obama, but Clinton also has even more baggage to defend now than eight years ago, including scandals, the hawkish positions she has taken both as Secretary of State and during the campaign, and her attacks on Sanders from the right on domestic policy. Posted in Barack Obama, Bernie Sanders, Hillary Clinton, Politics, Polls. Tags: Barack Obama, Bernie Sanders, Hillary Clinton, Politics, Polls. RSS feed for comments on this post.. TrackBack URL.